If you would like something designed and made especially for you, please contact me for commissions. 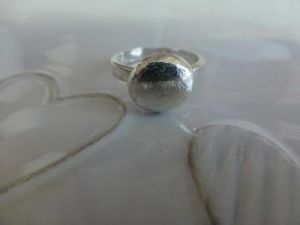 A silver ring with one large, organic pebble shaped and textured nugget. Please contact me for sizes.